Below you can view all the homes for sale in the Glen Abbey subdivision located in Alpharetta Georgia. Listings in Glen Abbey are updated daily from data we receive from the Atlanta multiple listing service. To learn more about any of these homes or to receive custom notifications when a new property is listed for sale in Glen Abbey, give us a call at 404-998-4017. Please Remove Shoes, New Carpet Just Installed. MLS#6538014. Century 21 Results. Finished Lower Level Includes Media Room, Game Room, Wet Bar, Workout Room/Bedroom, Full Bath, Heated, Pebble-Tec Pool W/Waterfall Spa, Spacious Pool Deck. Quiet Street In S/T Neighborhood. MLS#6534224. Keller Williams Realty Atl Perimeter. Basement: Media, Craft, Exercise, Bar/Billiard, And Guest Rooms. MLS#6531416. Engel & Volkers Atlanta North Fulton. Extended Deck Overlooks Prof Landscaped Park-Like Backyd With Stone Fire Pit/Benches/Pathways. MLS#6530370. Harry Norman Realtors. Fantastic Amenities Include Pool, Tennis, Playgrounds, Sidewalks & Sports Field. MLS#6528999. Ansley Atlanta Real Estate-Atlanta North. Safe Play Area: Large Front And Backyard, Double Cul-De-Sac W/ Many Kids, Friendly Neighbors! MLS#6527885. Chapman Hall Realty. Basement Features Custom Media Room With Built-In Surround Sound, Full Kitchen & Bar,Gym, Playroom,In-Law Suite W/Full Bath.Basement Opens To Fantastic Backyard Patio. MLS#6527259. Ansley Atlanta Real Estate-Atlanta North. Don’T Miss The New Windows 3 Levels. MLS#6523936. Openhouseatlanta Realty. Newly Refinished Hardwoods On Main In Dark Walnut Since Photos. MLS#6519148. Harry Norman Realtors. Family Room, Walk-Up Wet Bar, Conversation Area, Billiards Area, Dance/Exercise Room, Guest Suite & Home Theatre MLS#6517831. Keller Williams Rlty Consultants. Newly Finished/ Modern Basement W/Loaded Theater Room. MLS#6517513. Virtual Properties Realty. Biz. Spacious Secondary Bdr With Private Bedroom & Spacious Closets. Award-Winning Schools! MLS#6515647. Keller Williams Rlty, First Atlanta. The Glen Abbey Community Features 11 Lighted Tennis Courts, Pool, Clubhouse, Soccer Field, And Park! MLS#6502557. Real Living Capital City. 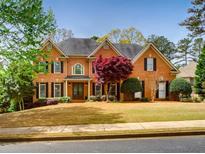 This Stunning Home Is Located On A Cul-De-Sac Lot In The Desirable Alpharetta Community Of Glen Abby. MLS#6502552. Realty One Group Edge. Near Big Creek Greenway, Avalon, North Point. MLS#6122854. Keller Williams Rlty Consultants. New Roof, Gutter Guards, Interior Paint, Water Heater & Hvac. MLS#6064191. Bhgre Metro Brokers.